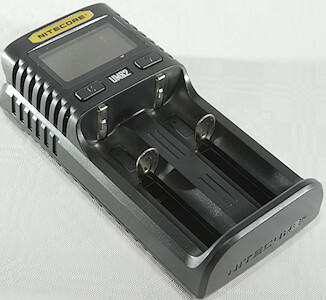 This is a USB QC powered universal charger with adjustable current. The box contains the charger, a USB cable, manual and a warranty card. 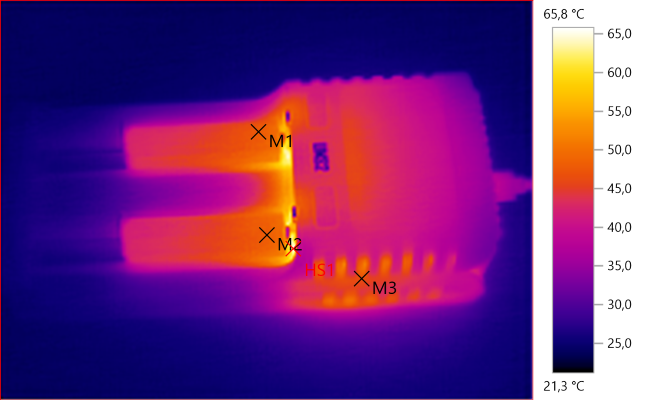 The charger has the USB connection on the back together with a plastic heat sink. 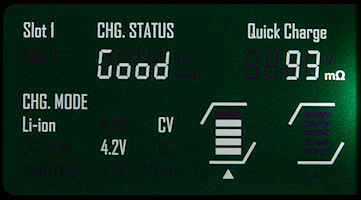 C: A short press will change slot and longer press will enter the charge and battery menu. V: Step between displayed values and change settings in menu. No batteries in the charger. 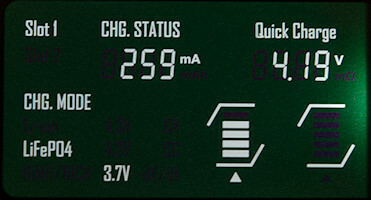 When charging it will show chemistry (Li-ion), algorithm (CV), current, charged capacity, voltage time and internal resistance. 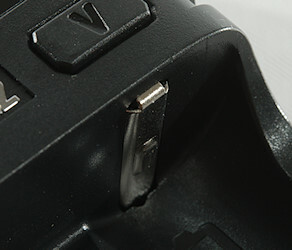 The “Quick Charge” is present when the charger is power from a QC charger. 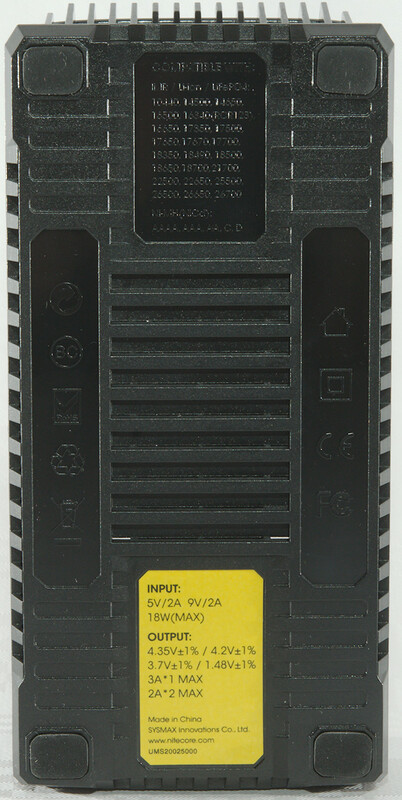 The yellow label has the important specifications and is easy to read. The slots uses the usual construction and works well. 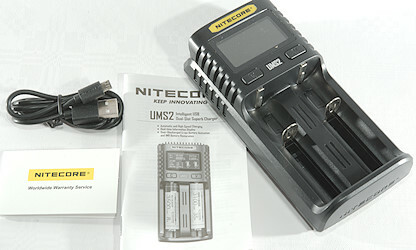 They can handle batteries from 30mm to 79 mm long, the new 21700 with protection will fit in the charger. 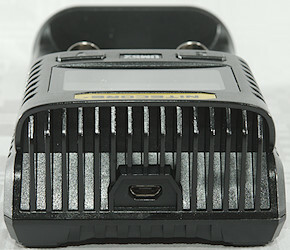 The charger can handle 79 mm long batteries, inclusive flat top cells. 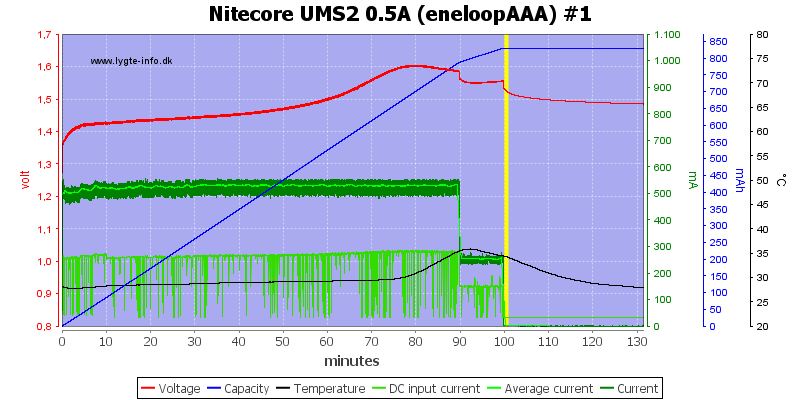 Below 0.7 volt the charger will show EE and charge with about 1mA, there will be no voltage readout. 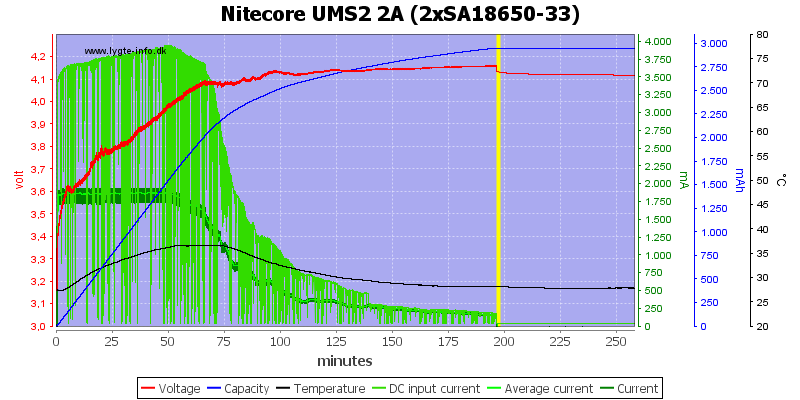 The charger will assume NiMH below 2.1 volt and LiIon above 2.1 volt. 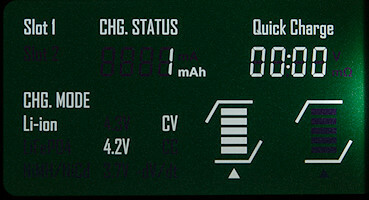 Voltmeter is within 0.01 volt. 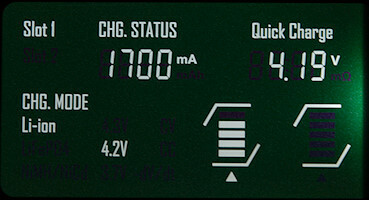 Voltmeter has a max. 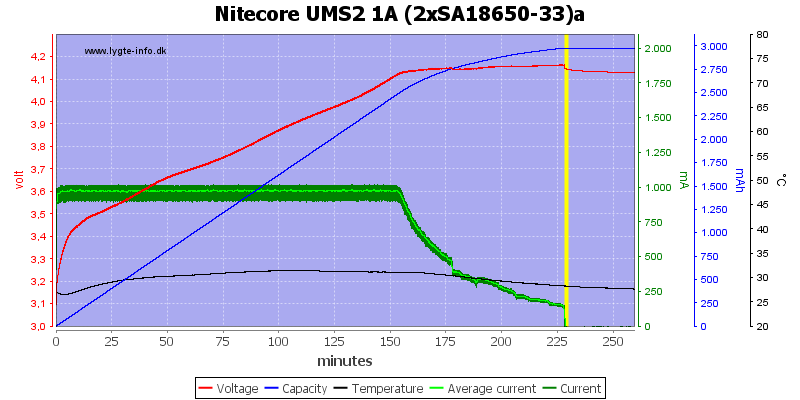 readout of 1.48V for NiMH and 4.20 volt for normal LiIon. 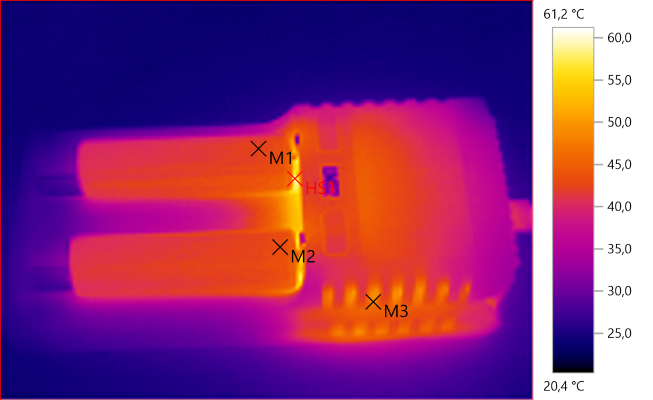 Change between 0.5A and 1A is around 55mm long batteries. 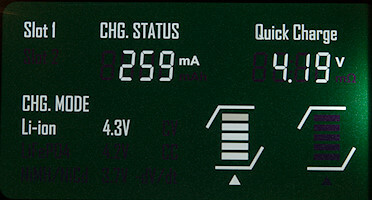 Charger uses 9V in QC mode and up to 2A current. Current can be adjusted from 0.3A to 2A in 0.1A step with USB and to 3A with QC power supply. 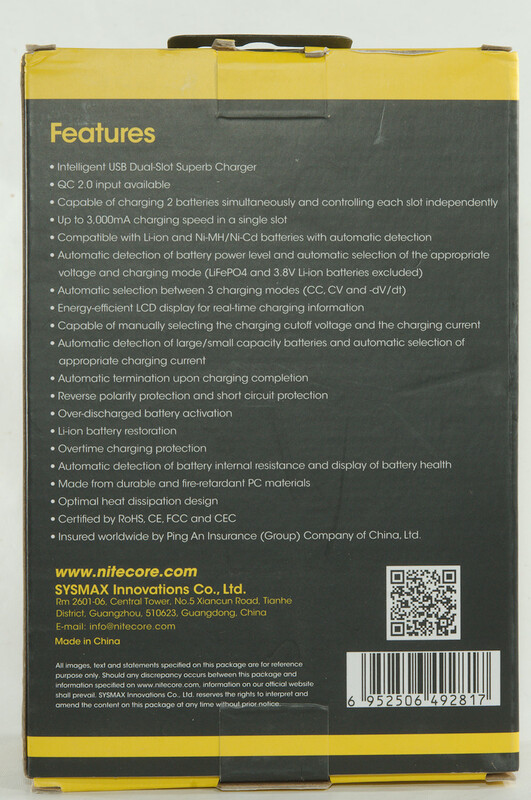 Default is 1A with normal supply and 1.5A with QC supply and long batteries. 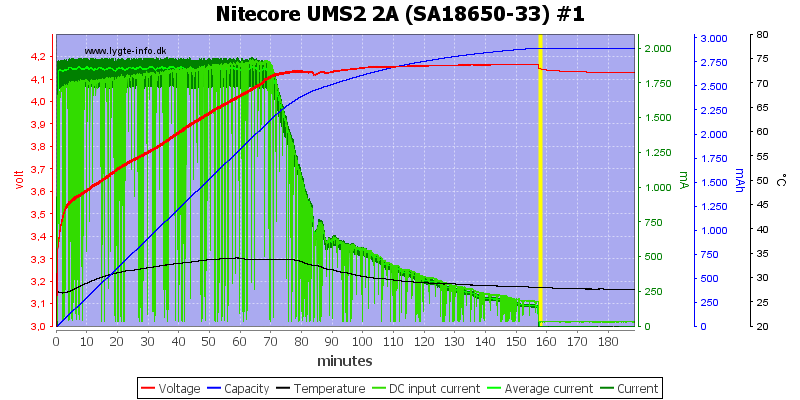 For shorter batteries it is always 0.5A. 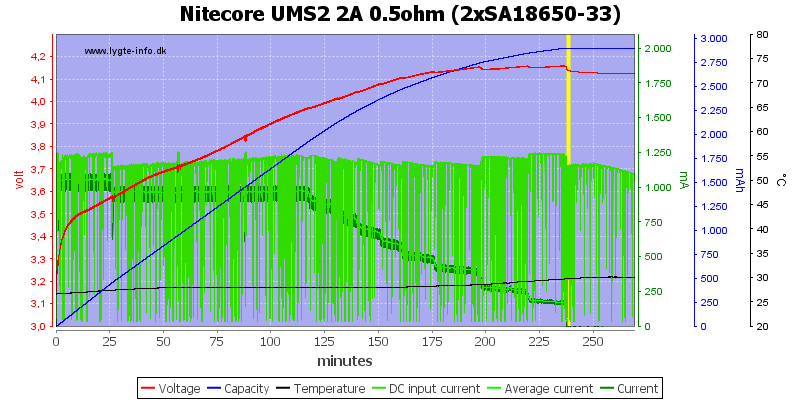 This is a fine CC/CV charge with a termination current around 150mA, but the charger is a bit low in voltage. 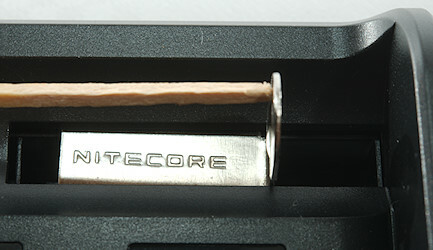 The second slot is similar. These 3 batteries are handled fine, even the old cell. 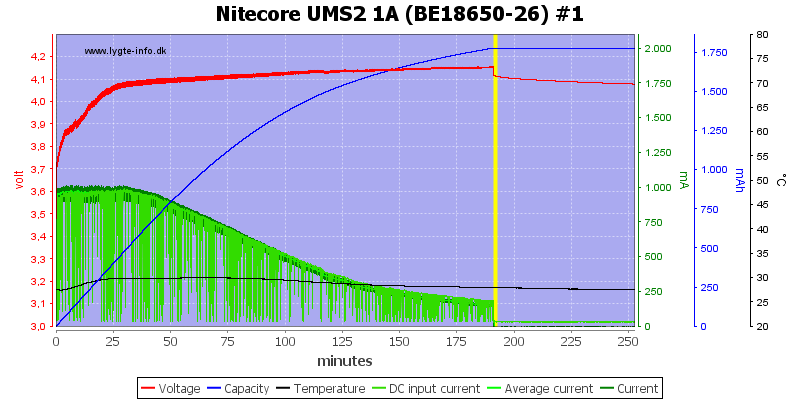 The termination current is the same with 0.5A charge current. For this old and worn down cell I used the 0.1A setting, it is 150mA and due to the fixed termination current it do not taper, this is not ideal for small cells. 2A charge current works fine. This larger cell handle a 3A charge nicely and the charger also do a good job. 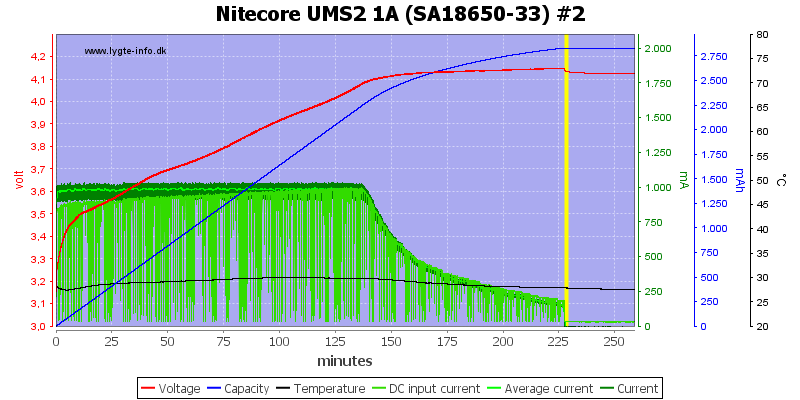 Two cells at 1A works fine on normal USB. The current draw is up to 2A. 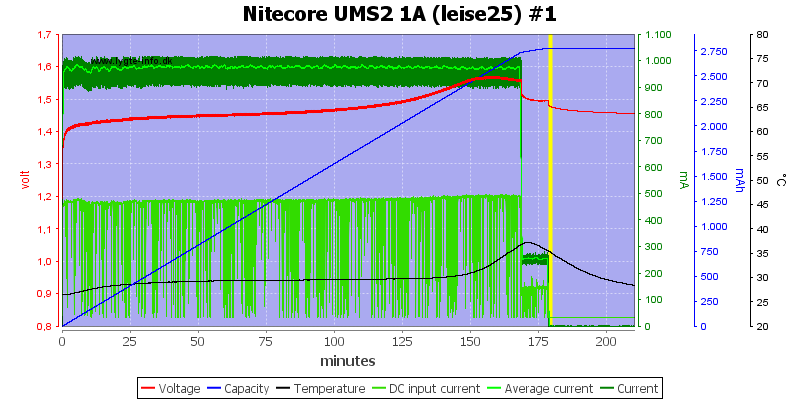 It was possible to set the current for both cells to 2A and the charger did it, this means 4A drawn from USB. This is not very nice to do without warning the user. 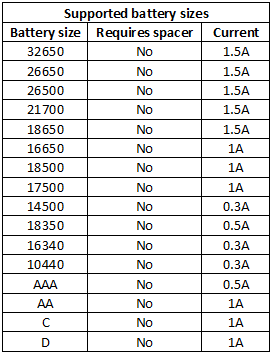 With QC I could also select 3A for each cell and it did it. 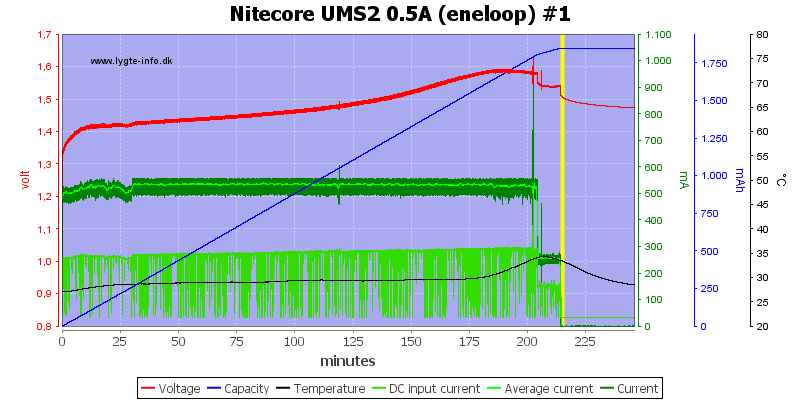 Adding a 0.5ohm resistor to simulate a long cable or weak power supply did not prevent the charger working, but slowed it down. The charger need some time to start a charge. 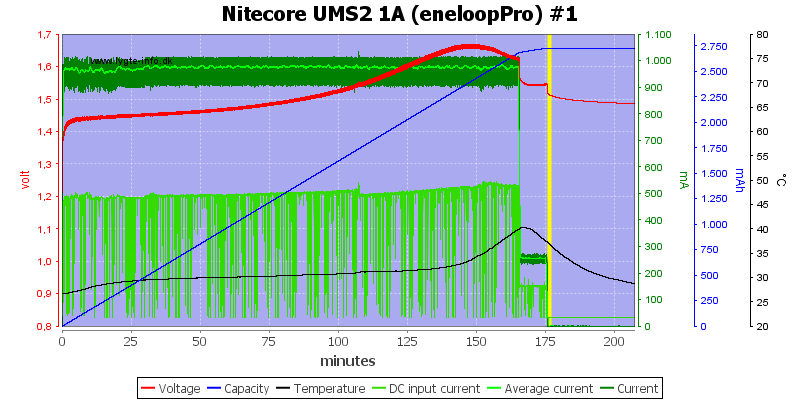 The charger measured voltage with current off. With QC there is a current spike. When entering the current change menu the current is turned off and first resumed when leaving the menu. The charger has some problems with a unstable power supply. 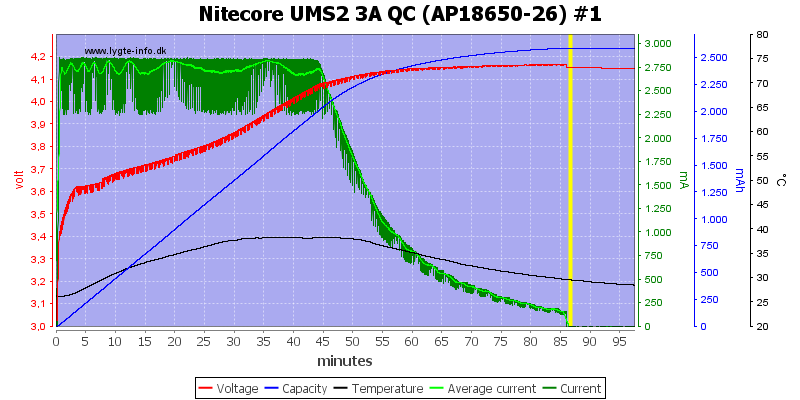 The charge curve is nice enough, but again the voltage is about 0.05V too low. 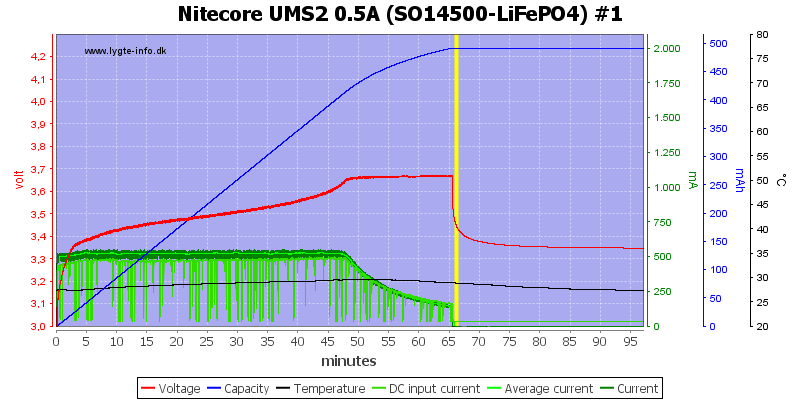 No problem with LiFePO4 cells. 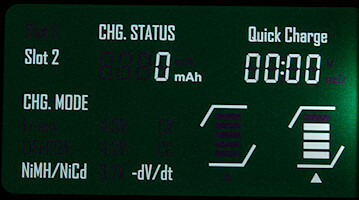 The charging uses -dv/dt termination in the end and then adds a 10 minute top off charge (Why?) and do not use trickle charge. 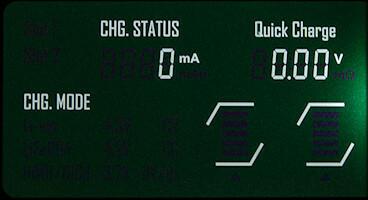 Both high capacity cells are terminated on -dv/dt and with top-off charge. 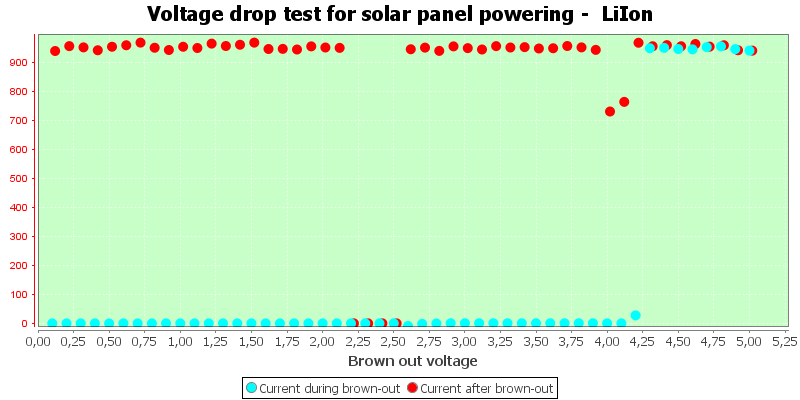 It works the same way at 0.5A charge current. A AAA is no problem. With -dv/dt termination it takes some time to detect a full cell, here 20 minutes and then a 10 minute top-off charge. 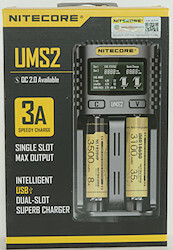 It is also possible to charge at 2A with a normal USB supply. 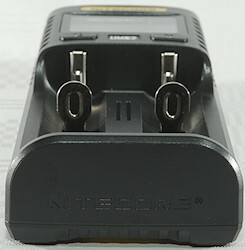 Here I uses a QC charger for the 2A charging. 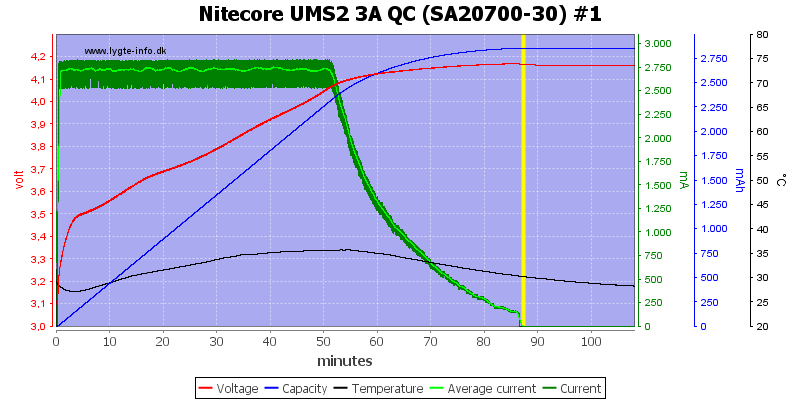 The batteries gets fairly warm at 2A charging. 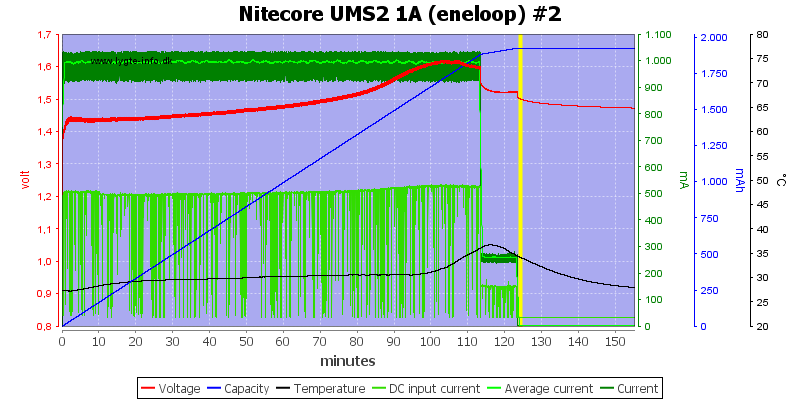 The charger need some time to start and ramp up current. 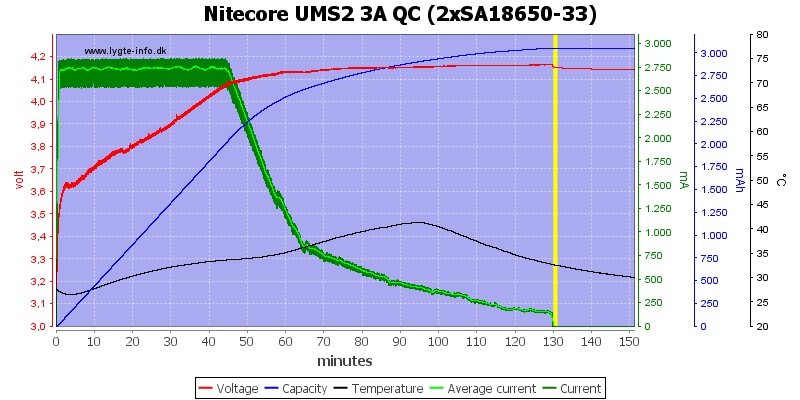 With QC it was a bit longer time adjusting the current to the correct level. 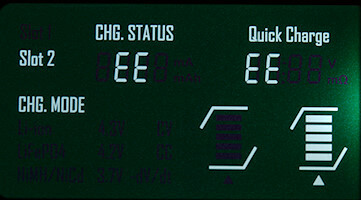 When changing current the charge current is turned off, when finished it will slowly be adjusted to the new level. Unstable power supply do not work with NiMH either. These results looks very good, it detect my resistance fairly precise and consistently. 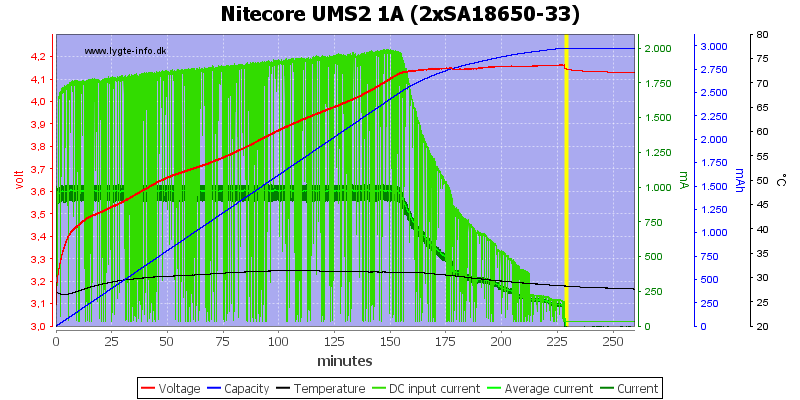 One slot worked fine on NiMH, but the other was completely useless, I wonder what went wrong. The charger charges nicely, the default current is low enough to always work when using a normal USB charger, with QC it may be necessary to adjust the current down for smaller LiIon batteries. The mAh display is rather optimistic in its values. 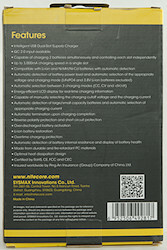 This charger can use a lot of usb current, because it do not limit the usb current. 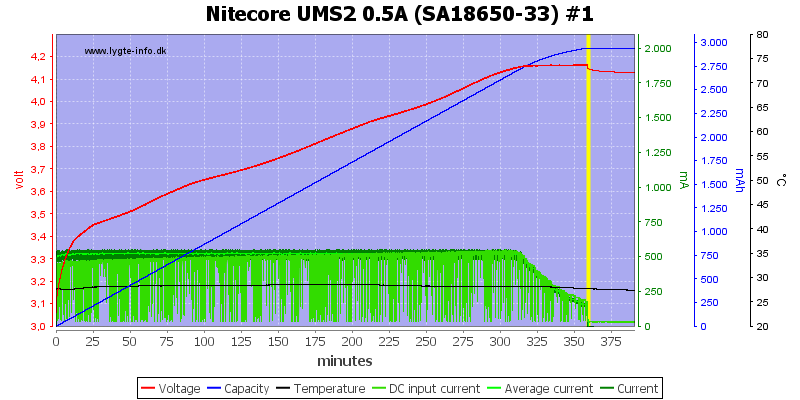 This high current will only happen if the user increase the charge current manually. The user interface is fairly easy to use. 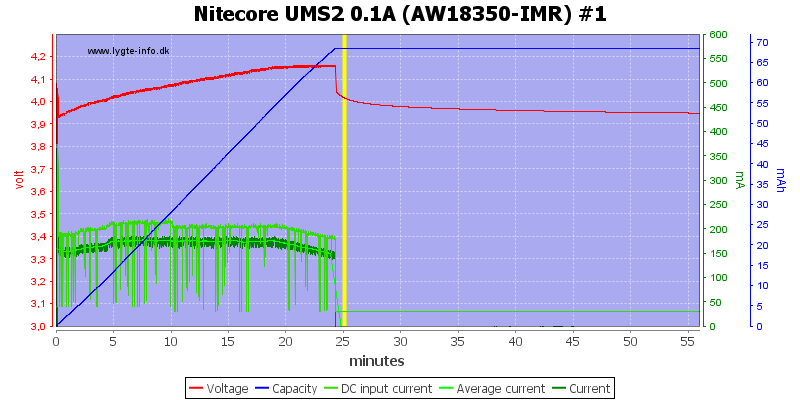 I will call it a good charger, just verify the current when charging smaller cells with a QC power supply. My copy of the charger is at the bottom of the allowed voltage for LiIon or even a fraction below it. 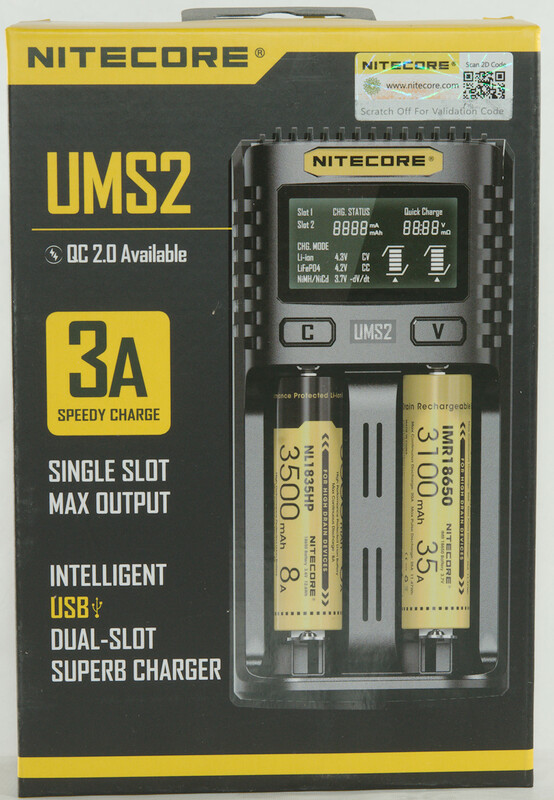 This will improve the lifetime of the batteries, but they will have less capacity when charged on this charger. Thank you Henrik! My observations were exactly the same. 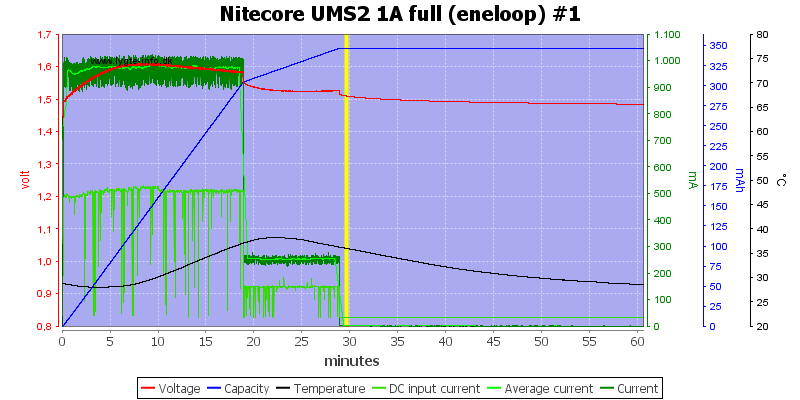 All my cells had a resting voltage between 4.13V and 4.16V. 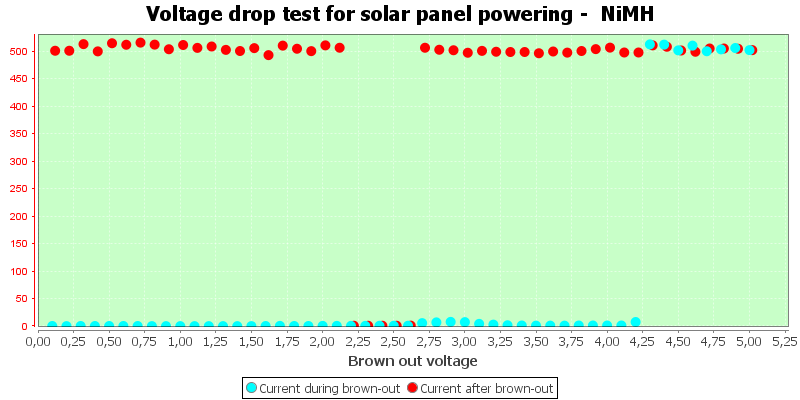 I found out that slot #1 (left) and slot #2 (right) have a consistent voltage deviation of 0.01-0.02V with fully charged cells. 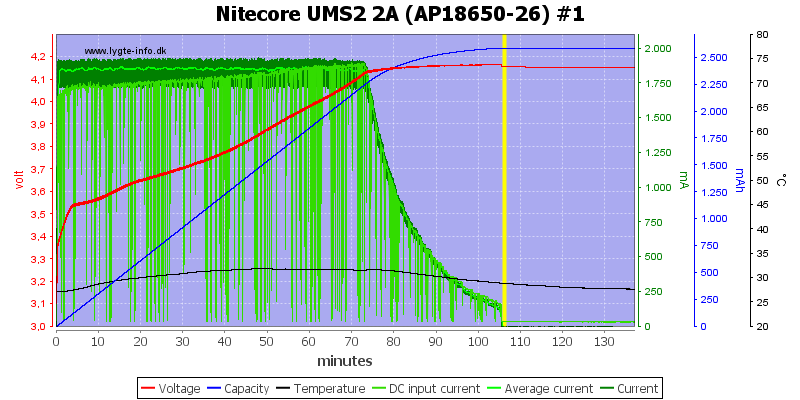 Can you recommend a 110v usb wall plug that would output enough amps to charge two cells @2A each? I'm assuming the charger does not have any type of booster and needs a stronger wall plug to do the job. 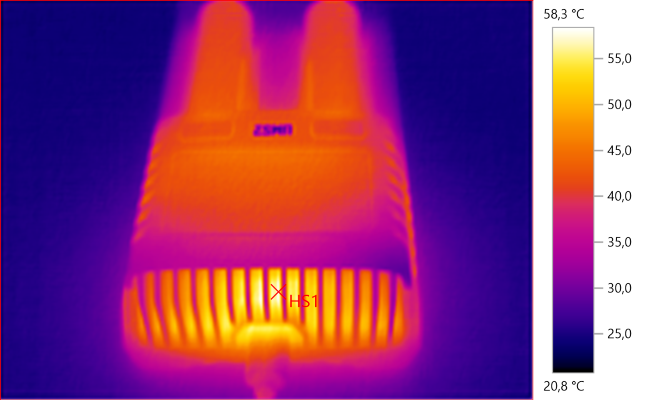 It’s quite the powerful charger, being able to do 18W on QC 3.0+USB 2.4A continuously, combining at 30W continuous output. That means not only could you charge your cells rapidly, but also your phone/tablet. Again BSM to the rescue, thanks man Exactly what I was looking for. 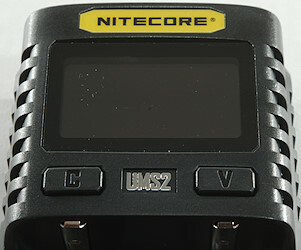 Do I need a special cable for the UGREEN charger for QC3.0 or will the regular usb cable that came with my nitecore UMS2 work? 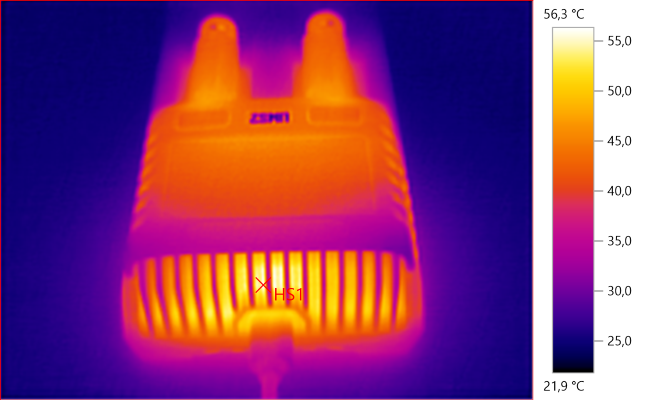 If anyone knows, would the Samsung 40T's get really hot when charging at 3A?